Prof. Anja-Verena Mudring was elected Head of Physical Materials Chemistry at Stockholm University, Sweden, in summer 2016. She studied chemistry at the Friedrich Wilhelms Universität in Bonn, Germany, and carried out her doctoral thesis work at the Max-Planck Institute for Solid State Research in Stuttgart, Germany. 2001-2003 she worked as a Feodor-Lynen fellow at the Ames Laboratory, a US Department of Energy National Laboratory. In spring 2003 she started her independent scientific career as a Liebig fellow at the Universität zu Köln. After having completed her habilitation in 2006, she moved to the Ruhr-Universität Bochum, Germany, where she headed the Materials Synthesis and Characterization group and became Chair of Inorganic Chemistry III. 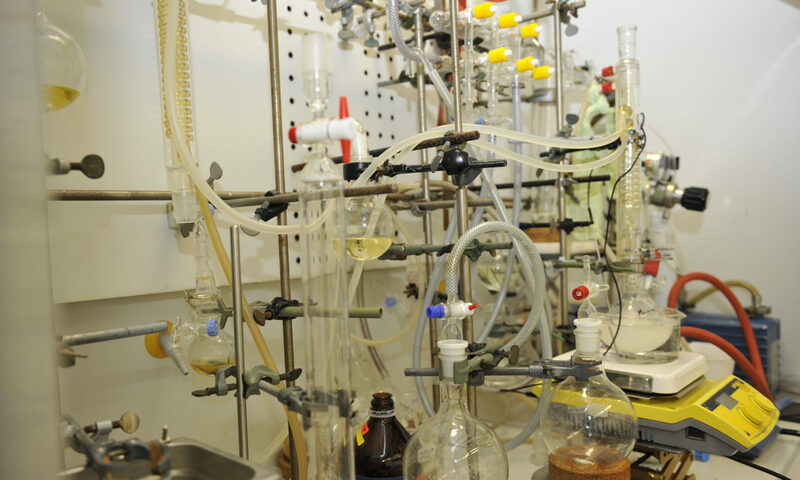 At RUB she also led the interdisciplinary Research Department Interfacial Systems Chemistry. During that time she established a EU-Marie Curie Training network on luminescent materials (LUMINET) and founded a COST action on ionic liquids (EXIL). In 2013 she accepted the offer as the Glenn Murphy Professor in the Materials Science and Engineering Department at Iowa State University and was the strategic hire for the Critical Materials Institute, a US DOE Energy Innovation Hub, led by the Ames Laboratory. Prof. Mudring is also an Adjunct Professor at the University of Alabama, USA. Prof. Mudring has organized a number of national and international conferences, most recently the 2016 Gordon Conference on Ionic Liquids and the 2017 Rare Earth Research Conference (RERC). She has received numerous awards and fellowships such as the H.C. Starck award in solid state science from the GDCh, was a Feodor Lynen Fellow and held a Humboldt fellowship from the Polish Science Foundation (FNP). 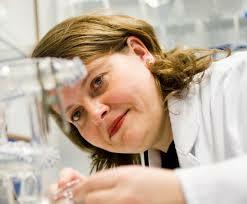 She was elected Fellow of the Royal Society of Chemistry in 2008. Her research has been sponsored by the ERC through two grants, the European Commission, the DFG (German Science Foundation), DOE (US Department of Energy) and NSF (US National Science Foundation) as well as industry. She is currently receiving support from the Vetenskapsraadet (VR, Swedish Research Council) and the Carl Tryggers Stiftelse. She most recently has received the Göran Gustafsson prize in Chemistry 2017 given out by the Royal Swedish Academy of Science. Since 2008 she is serving as an Associate Editor of the ACS journal “Crystal Growth & Design”. She has authored over 200 peer-reviewed publications (h-index: 39, >4100 citations).